Too much information, running through my brain. Too much information, driving me insane. In his book, Overload! 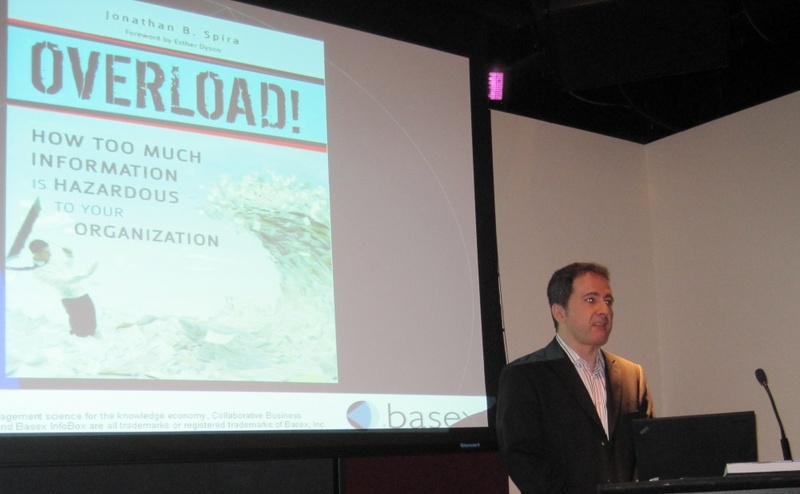 How Too Much Information Is Hazardous to Your Organization, Jonathan Spira describes how information, which used to be the cornerstone of productivity, is fast becoming it’s death knell. To make this blog post in the spirit of brevity, I will attempt to describe his presentation at the New York chapter of the Public Relations Society in under two hundred words. We are fed hundreds of emails, receive numerous voicemails, texts, IMs, tweets, posts every day. The impact of this overload is a decline in productivity and no time left to get work done resulting in the U.S. economy to lose one trillion dollars in productivity each year. You can follow Jonathan Spira on Twitter @jonathanspira.